Reto-Moto has just released a new update for Heroes & Generals, nicknamed ‘Rommel’ and this time they have primarily focused on giving the ‘Generals’ part of the game an overhaul. The most significant change in this update is the introduction of officer ranks and generals characters. 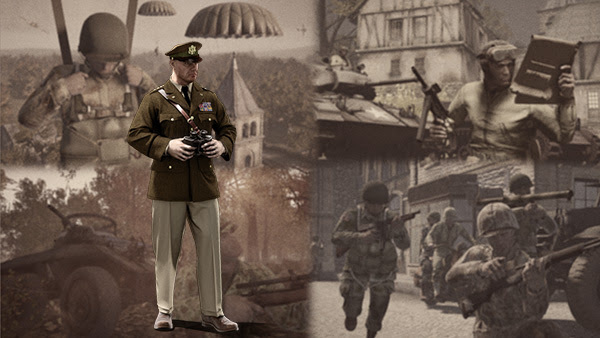 The officers and generals control the Assault Teams that provide the ressources other players fight with in the shooter missions. So skilled generals can make a major impact on the chances for their faction to win the war by coordinating attacks in realtime with other generals, managing war resources cleverly and maneuvering army units across the, now much larger campaign map, that covers most of Europe. Besides the Generals characters, the Rommel update also adds the highly requested FG 42 and M1 Carbine weapons for the Paratroopers, new conditions for how you win a war, a much larger campaign map, improved vehicle handling for tanks, a repair wrench for vehicles and much more. The Rommel update is the first major update for Heroes & Generals, since it was released on Steam Early Access on the 11th of July. 1.5 million players have installed H&G on Steam, raising the total playerbase to more than 2.6 million registered players. Lucid Games brings something interesting to the table with Switchblade, which is now free to play on PS4 and PC via Steam.